Imagine being among tens of thousands of fans, experiencing the magic and vibrancy of the action live at the stadiums. The first batch of world cup 2014 tickets is now on sale. FIFA is offering you an unprecedented opportunity to secure your seat today. Football fans can now buy world cup 2014 for the 2014 World Cup. Starting from the 23rd of April, the International Football Federation (FIFA) has started thepre-sale of the world cup 2014 tickets . Around 26,000 VIP tickets of the Hospitality package are available to the customers of VISA credit card in selected countries. 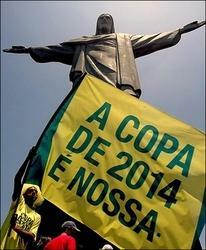 Ticket prices will start from two Brazilian minimum wage month salaries up to prices of 15 minimum wages. You will find more details at the hospitality pages at the FIFA website.